Lazy Gluten Free: Eat, Drink, and Be Merry with Udi's! Eat, Drink, and Be Merry with Udi's! For as long as I can remember, my family has always gone to a movie on Christmas Eve. We would then come back home and enjoy a warm beverage and open one or two gifts. Around 11pm or so, Santa would start urging my sister and I to go to bed so she could too. On Christmas morning, my family sits around the tree to open presents. We enjoy mom's wonderful Yum Yum Coffee Cake and fresh brewed coffee. We joke, laugh, sometimes tear up, and have a great time together. Since going gluten free, I am much more aware of how holidays and family time revolve around food. This makes it quite difficult if you are traveling or staying with those who may not understand the diet so much. One thing I have learned is that you can't be afraid to simply bring your own food. Ask the host what they will be serving and bring something similar. There is no better gift during the holidays than not getting sick. Trust me, I was glutened on one Christmas Eve and it was miserable. 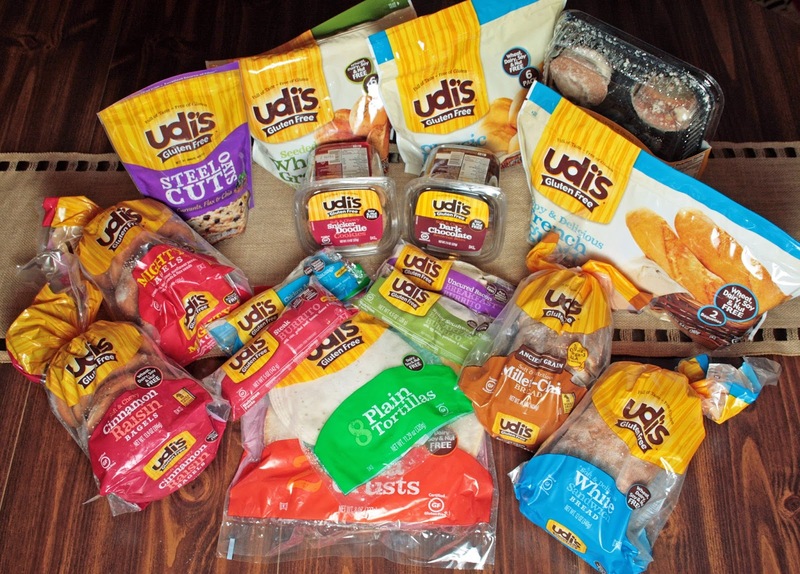 I have posted about Udi's before, and I love sharing about what they have to offer. Since I've last posted, Udi's has expanded their product line to offer frozen entrees, dinner rolls, burritos and so much more. Not to mention, they have one of the best line ups of gluten free treats of anyone I know! You don't need to spend your holiday being stressed about what you're going to eat. Keep it simple and enjoy the time you're spending with those you love - not focusing on what you can't eat. Here are a few Pinterest boards to help you out with ideas so you can still Eat, Drink, and be Merry. 1) Udi's is giving away holiday prize packs similar to the one pictured above (seriously, that's a TON of goodies!) and hundreds of free product coupons in their Eat, Drink, Be Merry giveaway. Head HERE to enter. 2) Also, I have 5 coupons for a FREE Udi's product that I will be giving away to 5 lucky readers! Just use the Rafflecopter widget below to enter. 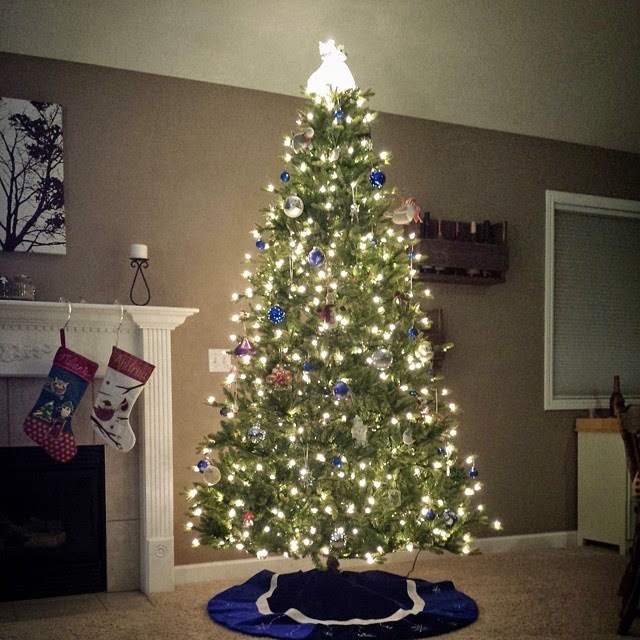 Have a great gluten-free holiday season! Disclaimer: I was given products to sample by Udi's, however, all reviews and opinions are completely my own.